India ka smartphone, Reliance JioPhone, which created waves and resulted in long queues outside mobile shops across the country was today spotted being sold on Amazon India. It was, however, surprising to see the devices being sold at a premium over the ₹1,500 price for the feature phone. So, let’s dig deeper and check out what’s the deal with this listing? The JioPhone, for those unaware, is touted to be the world’s smartest feature phone, with 4G VoLTE capabilities, and has only been available for order and pick-up through Jio’s website/ app and offline stores respectively. And though it might seem that JioPhone is now available for order via the largest e-commerce giant, there’s a hidden catch. Launched earlier in July’17, JioPhone was announced to retail at an effective price of ‘zero’ INR because ₹1,500 is just a security deposit. Reliance Jio plans to refund the security deposit in exchange for the feature phone after a lock-in period of three years. But, this is where the JioPhone listings on Amazon India differ from the original plans and caught everyone’s attention. Multiple sellers had listed the JioPhone on Amazon India’s website for a much higher price than the usual ₹1,500. A seller by the name Gadget Geek Business Solution, which has an overall rating of 1.1 out of 5, listed the Reliance JioPhone for ₹1,745 with a delivery charge of ₹49 applicable on the same. But, the price differed from seller to seller with the maximum price for the device going as high as ₹2,490. That is a ₹1,000 premium on the original price of the JioPhone. But, the Amazon listing of the JioPhone (F90M model) seen in the screenshot above is not factually correct and claims the device is dual-SIM and can be used with any SIM card. The device, however, only has one SIM card slot and can be used only with a new Jio SIM card because it is carrier-locked. To stop the jibber-jabber about JioPhone from enticing buyers into purchasing one of these inauthentic devices online, the listings have been taken down by Amazon. It’s looking increasingly like these listings were bogus and may have been a front to dupe unsuspecting buyers of their precious funds. Reliance Jio’s policies clearly mention that the buyers of this feature phone have no right to re-sell it, lease or transfer the device to others. However, if you’re still looking forward to purchasing a JioPhone then you can now simply walk into your nearest mobile shop (or a Jio Store) and buy the device without standing in any queues. 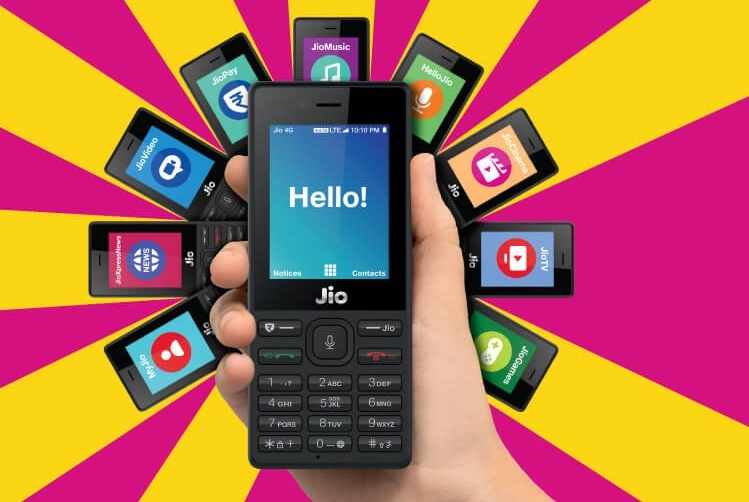 It is now quite simple to get your hands on this feature phone but you won’t be able to continue using your current Jio number on the new phone.